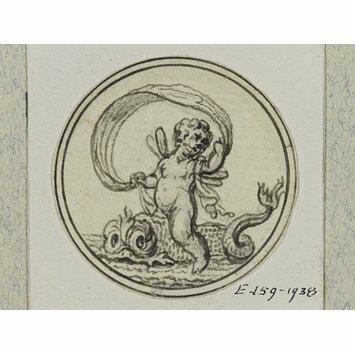 engraving or etching or pen and ink and watercolour and wash.
Goldsmith's design for metalwork. One of 1016 prints (either engravings or etchings) and 650 hand-drawn and painted designs bound in two albums. 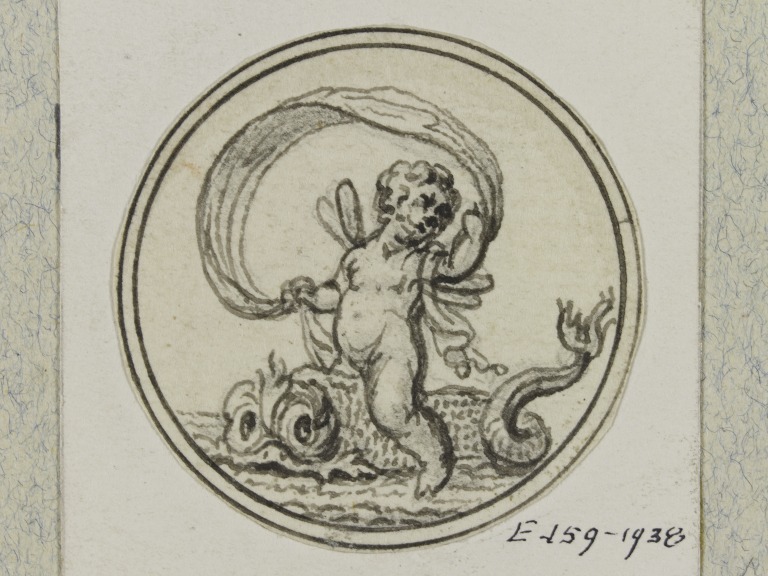 One of 1615 anonymous designs for metalwork, mainly etchings and engravings but including some watercolour, wash, pen and ink drawings, from a group of 1679 designs (E.51 to 1729-1938) bound in two volumes. French, mid-18th century.